The dark fantasy follows a high school sophomore named Akihito Kanbara. Although the boy appears human, he is half youmu and invulnerable to wounds because he can heal quickly. 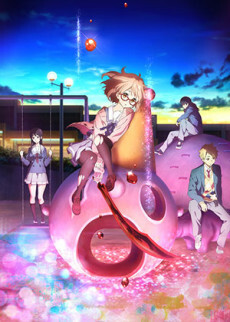 One day, Akihito meets freshman Mirai Kuriyama when it seems she is about to jump from the school rooftop. Mirai is isolated because of her ability to manipulate blood, which is unique even among members of the spirit world. Disturbing events begin to unfold after Akihito saves Mirai.